After graduating from the University of Florida School of Architecture, Jones developed high rises at Jung/Brannon in Boston. He worked on large projects in southern Europe with the internationally renowned Barcelona firm Ricardo Bofill Taller de Arquitectura before completing his master’s degree in architecture at UCLA. A fluent Spanish speaker who had spent his youth in Bogotá, Colombia, Jones found that immersion in urban European life gave him a fresh perspective on what makes a social space a memorable experience.An avid cyclist and volleyball player with a warmly engaging personality, Jones has a way of bonding with his clients. After meeting restaurateur Chris Simms at a local beach, Jones collaborated with him on six projects, including the playfully rustic M.B. 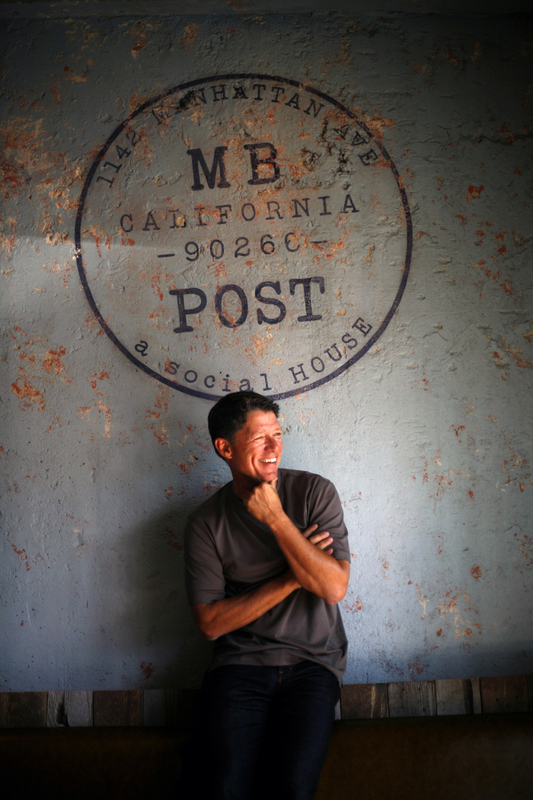 Post (a former post office) in Manhattan Beach, with Michelin-starred chef David LeFevre.